Best software for Equipment Rental and Service Businesses: Billing, Routing, Inventory Control, Dispatching, Scheduling, Service Agreements, Reminder Cards. Ritam Technologies, LLC is a leading developer of Microsoft Access® database applications. Although we do not offer general consultation and customization services for other products, we gladly offer these services for the Summit Array™ of software products. 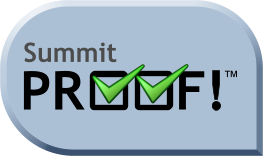 We consult with you prior to licensing Summit to ensure that you have planned for the proper workflow and system requirements in order to gain the greatest benefits from Summit. We also offer training services for your personnel, whether on-line (over the Internet, sharing a computer screen), on-site in your offices (typically over a weekend to avoid interruptions), or in our offices (typically only key personnel who then train other office people). Flexibilities are built into the Summit Array of software products which enable you to "tune" the operation of the program(s) to how you conduct business. Still, there are rare occasions, particularly when dealing with an industry we have not broken into fully, where changes may be required in the software to better address your needs. We can provide detailed estimates or fixed-price quotations for such work. If there are significant marketing advantages to us in the requested changes, we will take them into consideration and many times offer substantial discounts for the work being performed. If, however, the changes requested are in the nature of enhancements to the existing program and will have general application for others in the industry, we will simply include your ideas into our development schedule. The enhancements will be available through a future update or upgrade without having to pay the full cost of development efforts. Should your time frame be more demanding than our normal development schedule allows, you can also pay to have changes performed according to an accelerated schedule. In any case, you will find us well-skilled in our products and industries, efficient with our time, and of exceptional value, whether you need customizations or not.